President of the Republic of Ghana, His Excellency Nana Addo Dankwa Akufo Addo has wished the three finalists of the 2018 National Science & Maths Quiz ahead of the much anticipated grand finale at the National Theatre. The President said this year’s contest which coincides with the silver jubilee celebration of Primetime Limited, organisers of the number one educational programme in Ghana, have been very thrilling and exciting. Two-time NSMQ champions, St. Peter’s SHS, have successfully booked a place in the grand finale of the 2018 National Science & Maths Quiz ongoing at the University of Ghana. This is their first time in twelve years to make it to the final in a bid to clinch their third trophy after last winning the competition in 2000 and 2005. Adisadel College have made it to the Grand Finale of the 2018 National Science & Maths Quiz after beating Ghana National College and their archrivals, Mfantsipim Schools, in a heated semifinal contest at the University of Ghana. This is the fourth time in succession the Santaclausians are making it to the finals; a feat no other school has attained since the inception of NSMQ. Two-time champions of the National Science & Maths, Opoku Ware School have suffered yet another defeat at the quarterfinal stage of this year’s edition of the competition ongoing at the University of Ghana. Opoku Ware School were crashed out of the contest alongside New Juaben SHS by Volta region based Mawuli School in a heated competition. The hopes of Presbyterian Boys’ SHS, Legon winning their sixth trophy at the 2018 National Science & Maths Quiz were crashed as Mfantsipim School kicked them out at the quarterfinal stage of the 2018 National Science & Maths Quiz ongoing at the University of Ghana. Mfantsipim School convincingly won the contest with 50 points with Presec-Legon and KNUST SHS ending the five rounds of the competition with 34 and 20 points respectively. Central and Ashanti Regions have topped with the highest number of schools to have qualified for the quarterfinals of the 2018 National Science & Maths Quiz. 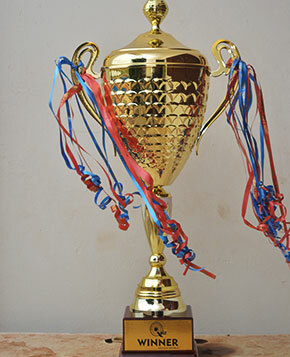 Out of the 27 schools that have made it to the next round of the competition, the two regions have six (6) institutions each, holding the fort of lifting the trophy for their school and their respective regions. St. Margaret Mary SHS have for the first time made it to the Quarter Finals of the National Science & Maths Quiz. Their victory is an improvement on their previous performance when they made their first appearance in 2015 at the national level. Two-time National Science & Maths Quiz champions, Achimota School, have suffered yet another defeat in the competition, as they lost to Tamale SHS at the one-eighth stage of the 2018 National Science & Maths Quiz and Science Festival. Tamale SHS snatched the late win with 48 points to seal their place in the quarter-finals while their fierce contenders Achimota School and Apam SHS ended the contests with 45 and 35 points respectively. Opoku Ware School can now heave a great sigh of relief after recording an impressive win in the one-eighth stage to qualify for the quarterfinals of the 2018 National Science & Maths Quiz at the University of Ghana, Legon. They beat Ghana Secondary Technical School (G.S.T.S) and debutants, Our Lady of Mount Carmel Girls’ SHS with 61 points; the highest score so far at the one-eighth stage.